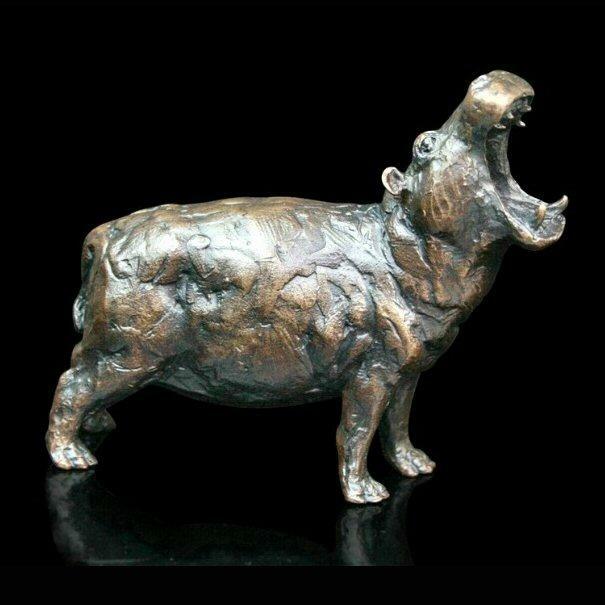 Bronze sculpture of a hippo by master sculptor Michael Simpson. The name hippopotamus comes from the ancient Greek for 'river horse' which nicely sums up these extraordinary creatures. This beautifully crafted solid bronze, limited edition sculpture would be the perfect gift for any lover of these unique amphibians.